Premium Economy is the new “it” cabin and airlines are scrambling to sway customers to buy up to the upgraded experience. In general: premium seats are bigger, wider and offer much more recline, but for savvy travelers, that’s only one of the reasons to book. 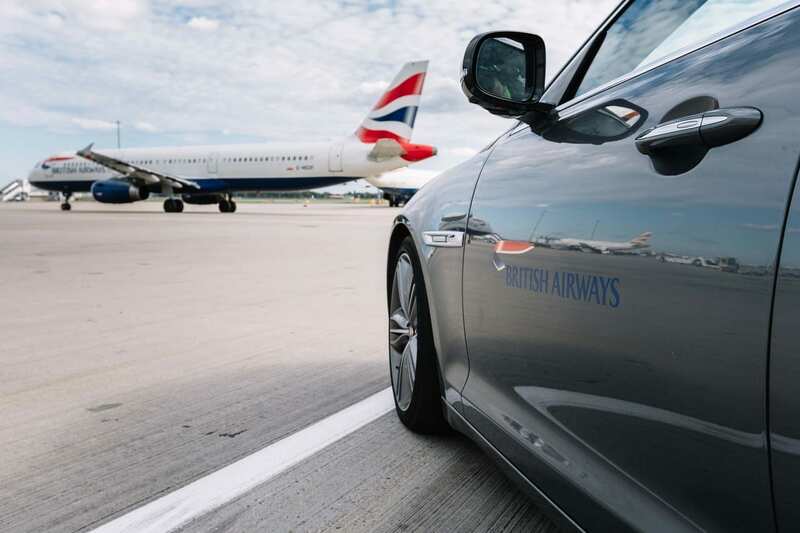 Right now, British Airways has ridiculously low fares, as low as £500 from Zurich, Inverness, Geneva, and Dublin with the very best deals out of Zurich. Airlines typically only allow “one cabin” upgrades, which means if you want to fly in one of the lovely beds of business class, you’ll need to book premium economy to have a shot at using points or accepting a cash offer to upgrade. The long haul flight from London to New York can be upgraded for roughly 20,000 points each way and only £100 extra, which makes for an incredible bargain if you book via BA, and not a partner airline. Here’s how to find those seats. This is the best long standing “buy premium, fly business” deal going. To be abundantly clear: paying £600 and 40,000 points per person to fly round trip business class is a total steal. You can even just do it one way for 20,000 points per person. You must use the miles of the airline you book with to upgrade. And to be extra clear: you earn points back on these bookings, unlike if you book with Avios. In fact, if you went that route, you’d pay more cash and 60,000 more points! £500 Zurich to New York via London. £530 Geneva to New York via London. £569 Inverness to New York via London. £575 Dublin to New York via London. £590 Amsterdam to New York via London. According to RewardFlightFinder.com, a business class seat is available between London and New York on every day in (light) blue in March, which means finding upgrades should be easy. If a seat is available in business class for Avios points booking, it’s also available for upgrade. You want to find flights where upgrades are available from the get go. If you can swing this, you’ll be able to book your Premium Economy flights and immediately call up (don’t use the online bit) to upgrade using Avios Points. If no seats are available for business class upgrade on your dates, definitely check out this resource, which lets you set free alerts and get emailed if and when any upgrades become available! Remember: if you want to upgrade using British Airways Avios you need to book with British Airways. If you want to upgrade with American AAdvantage Miles, you’ll need to book with them. Previous ArticleAre Too Many Travelers Breaking Ethical Loyalty Perk Boundaries? Cracking deals, just need to be lucky to find availability for upgrades. Need to be careful what plane you’re on: the top pic of BA WT+ is one thing, but I took a very old 777 with tiny screens folding out of the armrests – not a good experience!